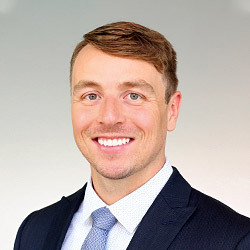 Cody Kauffman is an associate in Fowler Hirtzel McNulty & Spaulding’s Lancaster Office. Mr. Kauffman focuses his practice on defending complex commercial, construction, product and general liability cases. He develops cases from inception through trial by managing all aspects including investigation, pleadings, and discovery. Prior to joining FHMS, Mr. Kauffman worked as an assistant public defender in Lancaster County, where he zealously advocated on behalf of indigent clients from case commencement to final resolution while maintaining a high volume of trial-ready cases and appellate assignments. Mr. Kauffman attended Drexel University’s Thomas R. Kline School of Law. During his time at Drexel, he received awards for excellent oral advocacy and worked as an associate editor of the Drexel Law Review. He also served as a Law Clerk for The Honorable Dennis E. Reinaker, President Judge, where he drafted judicial opinions in both civil and criminal matters.